Budding film maker Quinn Roberts is still reeling from the recent loss of his sister. He's stopped going to school, checking his phone, or even washing his clothes. But one night his best friend forces him to put on some clean clothes and takes him to a college party at his sister's apartment. It is there that Quinn meets Amir, the hot, older college boy who stealthily slips Quinn his number at the end of the evening. While Quinn continues to be tormented by his sister's sudden death and the role he played in it, he also agonizes over what his relationship with Amir means and whether love can help him get past his grief. For fans of Better Nate Than Ever, Tim Federle's young adult debut is the perfect reading ladder for those middle grade readers who move on to high school and are still looking for books to satisfy their artful souls. Quinn Roberts reminded me of an older version of Nate Foster, but with a love for screenwriting instead of musical theater. Quinn is more pessimistic and brooding than Nate (but Quinn is also a teenager, so there's that), but both have an incredibly quick wit and fabulously snarky repartee. 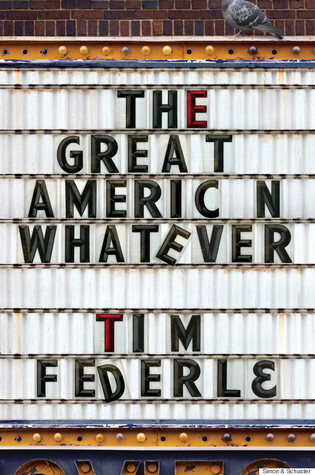 Check out this great Publisher Weekly interview with Tim Federle about his YA debut.